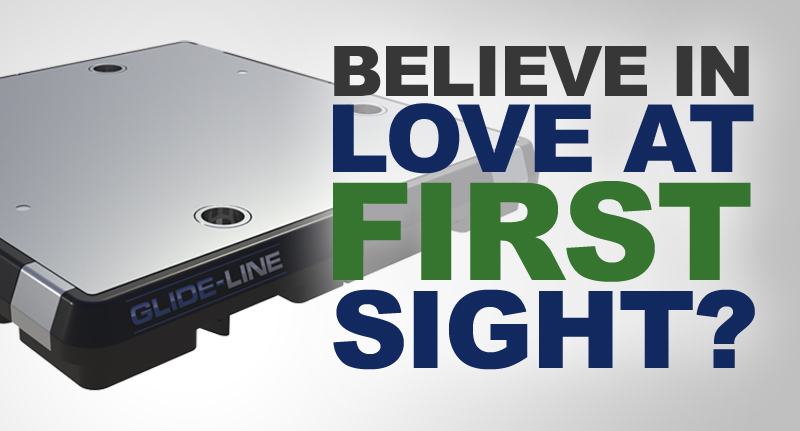 Glide-Line’s Workpiece Pallet may sound like a typical conveyor accessory, but it’s anything but typical. Our Workpiece Pallet is a workpiece that can be modified and machined to handle a customer’s fixture or jig configuration. The primary purpose is to hold the work and guide the product throughout the system, providing repeatability, accuracy, and interchangeability in the manufacturing of products. We build the Workpiece Pallet from scratch, in-house, and it is completely size configurable – at no additional cost. Or, for a small additional cost we can even machine in additional features to your specifications! Here’s why our integrator clients love this no-limits flexible workpiece platform. Dependent on our customer’s needs, we offer an array of different base materials that can be cut, machined and modified (in-house!) to offer flexibility to precisely match a client’s automation system demands. These are all configurable standards, meaning we don’t charge more for these customizations. Most Glide-Line Workpiece Pallets are tooled with custom fixturing components to secure work pieces as they are handled, and each pallet contains a set of precision bushings for exact pallet location at each workstation by means of our Lift and Locate Units. We can even place rollers under the pallet to create a zero-pressure pallet that would typically be used in clean room design. 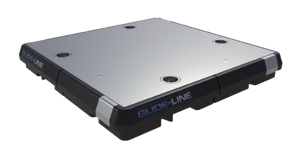 Workpiece Pallets from Glide-Line are available in 1mm increment sizing in both axes. Since we’re cutting the top plate of the pallet in-house, we’re able to do any size your client’s process requires. The pallets can be configured to handle any size carrier. Our competitors only offer a specific, set size of pallets – typically in 80mm increments – that forces the customer to design their systems around a base platform that’s not really the size they need. If you need to design a larger system to accommodate a larger size pallet, your client’s cost is also impacted to reflect those changes. This can result in more space, further reaches for your automation, and other compromises. Our flexible workpiece pallets empower designers to design to the exact specifications, instead of designing and purchasing a system around someone else’s limitations. Glide-Line Workpiece Pallets are machined in-house, and any special features we add remain cost-effective since we don’t consider it “custom.” The aluminum tool & jig pallet material is precision ground flat to within .002” per foot. The thickness is within +/- .005”. It has no internal stress so it will resist warping due to machining and wide operating temperature variations. Since we’re custom machining each Workpiece Pallet in-house, availability of this device is never an issue. They can even be RFID compatible. We can supply the pallet assembled (like the picture shows) or unassembled. Unassembled delivery includes a machine top plate, but bushings and bumpers are shipped separately (components only). This allows the customer to do their own machining on the pallet if they want; they can have raw aluminum anodized or coat it themselves. It allows them to “customize” the top piece to their own needs if it’s more cost-effective. Since we are machining each pallet from scratch order to order, we are also very happy to customize our pallet to include features to allow fixtures for your client’s product, holes in the pallet for items that would reside below the surface, or anything else that’s needed in your client’s automation process. This will save both time and money as the pallets will arrive completely customized specifically for your clients’ applications. There is a small extra cost for this service, but compared to building a completely custom workpiece pallet yourself, this cost is very low. This device is cross-compatible with our leading competitor’s system. If your customer has spare pallets in their store room, they wouldn’t need to have additional inventory because their current pallet inventory will work on our system. There are virtually no limits to the flexibility of the Workpiece Pallets from Glide-Line; whatever your client needs in terms of size, tooling, materials, or design, we can make it happen.